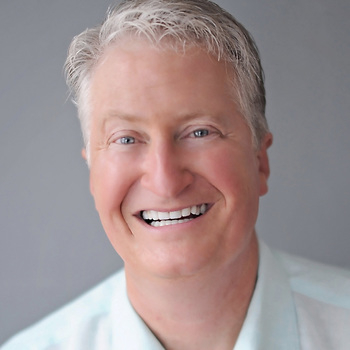 It’s hard to imagine Andy Andrews – best-selling novelist and sought-after speaker-- as the young man he was years ago, homeless and living under a fishing pier in coastal Alabama. The picture of beach casual in a sky blue shirt and kahkis, Andrews is engaging and beaming as he talks about his new book, “The Noticer Returns,” and how a simple change in thinking can help anyone create an extraordinary life. The antidote to an average life is a change in perspective, he explains, something Andrews learned in real life from a white-haired drifter named Jones, who was also a main character in his earlier book, “The Noticer.” Jones helped Andrews find the perspective he needed to rebuild his life in the midst of homelessness and the loss of his parents. That book, a mix of real life and fiction, sold more than 1 million in copies and was a New York Times bestseller. The sequel, “The Noticer Returns,” reunites Andrews with Jones. It also follows several Fairhope residents as they encounter the old man with the suitcase. Jones gently guides them toward the right way of thinking to face challenges with finances, parenting, marriage and health care. The book also addresses how individual changes can transform an entire society. Take, for instance, the “Greatest Generation,” the group that came of age around World War II. The credit for that generation’s achievements, says Jones, should really go to the parents who raised them. He adds that today’s parents can raise an extraordinary generation by laying out specific standards for their children and methodically instilling in them the character they need to reach those standards. “Parenting is the fulcrum our entire society rests on,” Andrews says. “The Noticer Returns” is in line with Andrews’ other writings, which address how to live a life of purpose. “So often, we are merely one idea away from solving a gnawing problem that seems impossible to resolve,” he said. Among his other books are “The Traveler’s Gift” and “How Do You Kill 11 Million People?” Andrews has addressed members of Congress and their spouses, and has spoken at the request of four presidents. He also consults with corporations and other organizations, including sports teams. But he rejects the notion that he’s a motivational speaker. “I think motivation is a myth,” he says. “I’m more into proof (of principles) than I am encouragement. Encouragement lasts until Monday or until the guy is out of the room. “If something is proven to us, the guy hasn’t got to be in the room,” he said.